Planning application has today been submitted to Tipperary County Council for a 60,000 sq ft Business Innovation Centre to be built on the same site as the new Lidl store, on the former Erin Foods site in Thurles, which is owned by Mr Richard Quirke and his family. Deputy Michael Lowry has confirmed that Lidl Ireland architects Clarman have completed extensive pre-planning consultations with Tipperary County council and have now lodged a formal planning application. This application also includes for the construction of 60,000 Sq. Ft. of modern business accommodation. 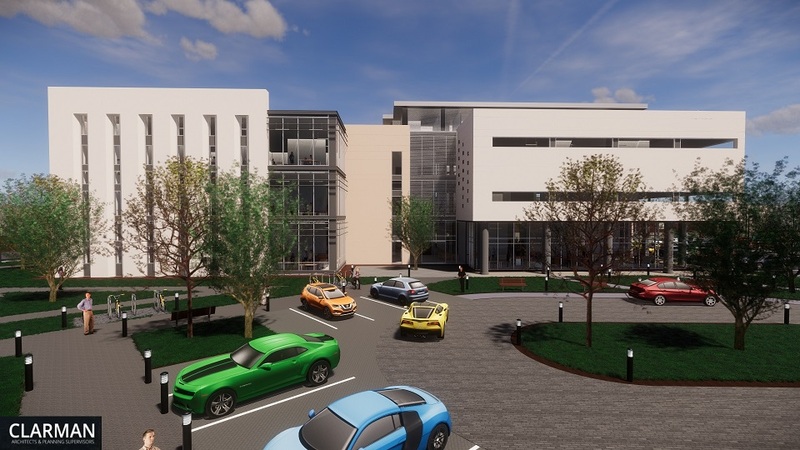 This will be marketed as “Thurles Business Innovation Centre”. The accommodation will be finished to a very high specification and will be enabled for fibre broadband connectivity. The campus will have the capability to act as a regional hub for technology and research. There is a very strong demand for such facilities at present given the lack of suitable accommodation at competitive rates. In total, €24 million will be spent in the development of the area and the planning application will include the demolition and removal of all existing buildings along with clearance of the entire 8.5 acre site. Lidl will construct a modern new store of approx. 22,000 sq. ft with associated car parking to be serviced by means of a new entrance. The company will be relocating from their Abbey Road store when the much bigger one is complete and ready to open. Phase 1 of the project being the demolition of the existing buildings and full site clearance. This in itself is a very substantial contract requiring specialist contractors. There are stringent regulations governing its removal and disposal of materials and Deputy Lowry has been assured by Lidl that this sensitive material will be handled in full compliance with International standards. Phase 3 is construction of the new state-of-the-art retail store and 60,000 sq. ft. business centre. “The Lidl decision to locate a new store on the Erin Foods site has enabled the entire site to be redeveloped. The very substantial investment by Lidl in their new store including infrastructure such as roadways, car parking, water, waste water, power supply and high end IT capability has made the remainder of the site extremely attractive to Castletown Capital. The entire project creates an exciting opportunity to revitalise a prime site which has been dormant for years. It will generate significant job opportunities and revitalise the Thurles economy,” Deputy Lowry said. Deputy Michael Lowry says the centre will provide great job opportunities. 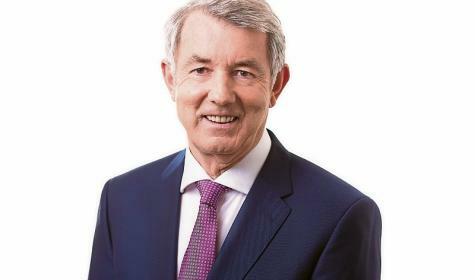 Castletown Capital, through its CEO has said that Mr Ronan Mallon has said that negotiations have commenced with an interested blue chip company to become an anchor tenant for the Business Innovation Centre. The project will take two years to complete after planning is granted. Both Lidl and Castletown Capital have committed where possible to use local material and trades suppliers. “This is fantastic news for Thurles. Like every rural town it has struggled to recover from the recession. This project with an investment of €24 million will give the town a new lease of life and reinvigorate the economy. This exciting project together with the €6.5 million set aside for the re-development of the town centre will have a transformative effect. Thankfully, after many dark days, there is the prospect of a bright new horizon,” Deputy Lowry said.